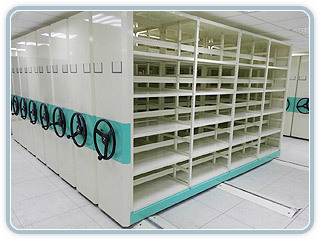 Rational and efficient logistics system can save space, save manpower, save time is to save companies money, reduce costs and improve competitiveness. 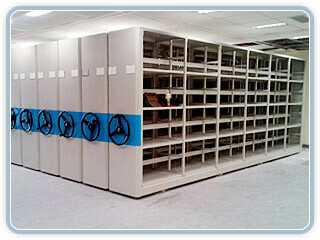 For storing a large number of records, books and all kinds of goods. 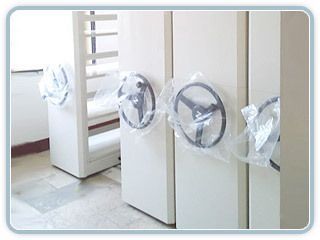 Track laying on the ground, the use of mechanical principles, turning the steering wheel to drive the whole cabinet, lightweight effort. 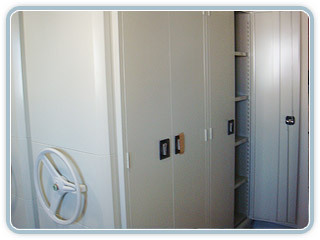 The entire space just leave a track, the rest can be used as storage space. 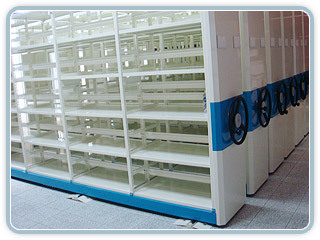 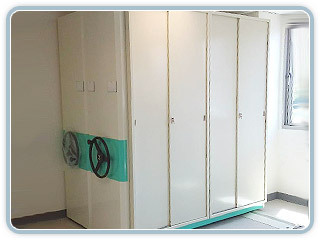 Widely used in various tertiary institutions, courts, hospitals and patients room, library line number of the companies, storage room.